Hazelle Hedges Rollins, for some 40 years, was the largest exclusive manufacturer of marionettes and puppets in the world. Her business address was not Europe, but Kansas City, Mo. Hazelle began making marionettes as a hobby when an 11-year-old boy next door brought her a marionette manufactured in Italy and asked her to make a companion so he could perform a play. This request was followed by others, including that of a neighborhood toy store which wanted to stock marionettes for retail sale. Thus began a lifelong passion and a major Kansas City business — making puppets for the world market. Hazelle was born in 1910, the daughter of Ralph and Jessie Hazell Hedges. The family lived at 815 W. 59th St. in Kansas City. She was the oldest of five children; there were four younger brothers. Her father was the president of Columbian Hog and Cattle Powder Co. in the 1400 block of Genessee in Kansas City. She graduated from Westport High School and attended Kansas City Junior College in 1929. In 1932 she earned a B.A. 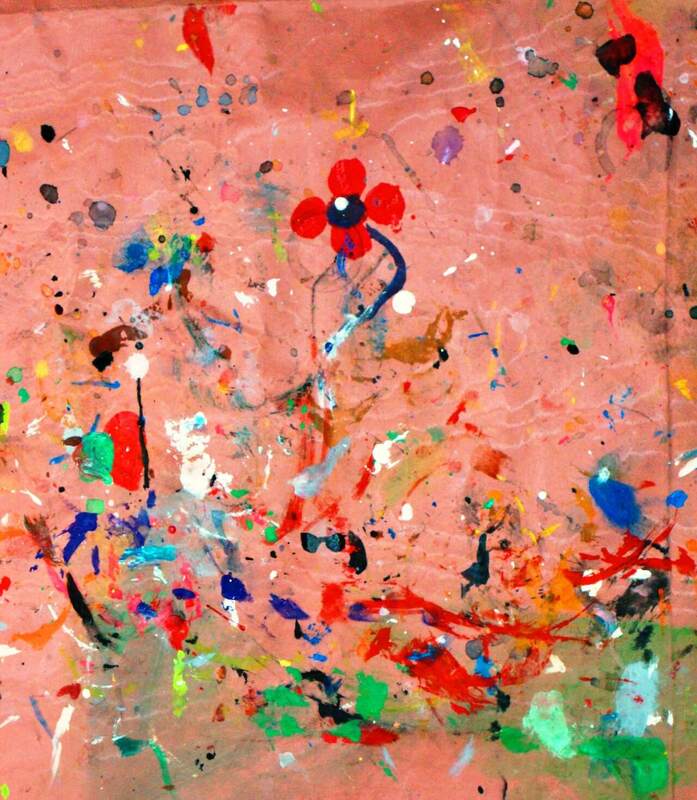 in Fine Arts from the University of Kansas, where she added an “e” to her first name. In 1933, she attended the Kansas City Art Institute and took time to teach unemployed women arts and crafts classes at the YWCA. In 1934, Hazelle worked at the newly opened Nelson-Atkins Museum as a telephone operator. Museum staff quickly recognized her talent and asked her to teach puppet-making on Tuesdays and Thursdays to more than 100 students, ages 7 through 15, enrolled in the museum’s summer program. Her business was conceived and started during the Great Depression in 1935 in the Hedges family basement. Anxious to start her own business, she went to the 1935 New York Toy Fair looking for retailers who would sell her marionettes. The only factories at that time which made puppets exclusively were in France, Italy, Germany, and Czechoslovakia. Inspired at the workshop taught by Tony Sarg in Greenwich Village (famous for his puppets and giant Macy’s parade balloons), she returned to establish her own small factory in the Kansas City garment district in the Thayer Building at 107 W. 8th St. She employed Kansas City Art Institute students to make simple, lightweight, short-stringed marionettes with heads of a sawdust and clay composite. Hazelle’s first local sales were to Emery, Bird, Thayer Company; her first national sales at Marshall Field in Chicago. As orders increased, Hazelle’s puppets were shipped from Kansas City to New York, Chicago, and Philadelphia. Hazelle entered the international market in 1936 and sold a fourth of its annual puppet production overseas — selling by the next year more puppets in Johannesburg, South Africa, than in Kansas City. The growing business ultimately would move into three other Kansas City locations over the next two decades. The next location was 107 W. 8th St., where the growing business had a staff of 35 during the busy holiday season. In 1946 the company moved again, into its own building at 10th and Campbell. In the late 1940s and 1950s, TV shows like the wildly popular Howdy Doody Show spurred the puppet business. By 1957, annual puppet sales climbed to over 250,000 puppets, and the factory moved to 1224 Admiral Blvd. — the final location. At that time, Hazelle employed as many as 50 workers with 11 field representatives selling to some 1,800 department and toy stores. By 1972, even Princess Grace — the former Grace Kelly — had placed a Hazelle order to establish a puppet theater in Monaco. In addition to marionettes, Hazelle’s customers were requesting puppet stages and playlets. Hazelle’s friend Bernice Rose, a business partner and a Duke University journalism graduate, was initially in charge of playlet scripts. The first marionette sets included a play, three or four marionettes, and a ten-pound folding stage. Hazelle kept her puppets in the public eye by participating in community events. Her booth at the Plaza Art Fair attracted attention from young and old alike with its music and dancing Popeye marionettes. Of all her marionettes, Teto — a white-faced clown wearing his red jumpsuit with white polka dots — became Hazelle’s best seller. In 1937, her puppets were featured in the Kansas City Power and Light booth at the Better Homes and Flower Show in Municipal Auditorium. The J. C. Nichols Company also featured her puppet show “Why Live with Folly?” at the Better Homes and Building Exposition. Hazelle was a consummate promoter. In 1941 she married John Woodson “Woody” Rollins, an industrial engineer who became her business partner and helped her improve production methods. He began handling sales and advertising while Hazelle’s brother Harold handled the office accounting and bookkeeping. Hazelle combined her business career with motherhood. With the additional help at the factory she was able to get her two children, Nancy and John, off to school before work and to return home to prepare the family’s dinner. Her son John recalls that many holidays and summers were spent working at the factory. One of John’s first tasks was using screw eyes to attach plastic shoes to the wooden dowel legs of the marionettes. Other tasks he did while a high school student included working in the packing department and typing shipping labels, invoices, and bills of lading. In 1949, the Conservatory of Music in Kansas City and Women’s Committee began a three-year joint venture with Hazelle to present operas such as Pagliacci and La Serva Padrona. The opera students and Conservatory Orchestra recorded the music; Hazelle made puppets for the stage productions. In 1956, Hazelle developed a line of hand puppets for her college sorority, Alpha Omicron Pi, to use in a community outreach program at the University of Kansas Medical Center in Kansas City, Kan. Instead of the rigid Tenite plastic used for marionette heads, the hand puppets had washable, soft vinyl plastic heads and simple cloth bodies. The puppets were inexpensive so they could be given as gifts to hospitalized kids, and the children could manipulate them in their beds. Hazelle also developed a new lightweight cardboard stage which could be used for hand puppet shows when facing one way, or turned around for marionette shows. Schools used puppets as therapy tools. After Hazelle developed simple finger puppets in the 1960s, New York City schools ordered more than 10,000 to help children act out conflicts they faced in racially troubled school situations. Today Independence School District kindergartners come to the Puppetry Arts Institute to learn the basics about cooperation, sharing, and following rules through making and using Hazelle’s puppets. Hazelle, Inc. was sold in 1975 when the Rollinses retired, and continued to operate under different ownership through 1983. 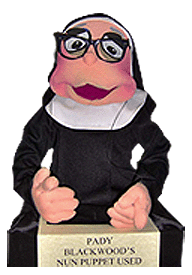 When the Kansas City puppet factory closed in 1983, the remaining inventory of Hezelle puppets and puppet parts was given to Goodwill Industries. 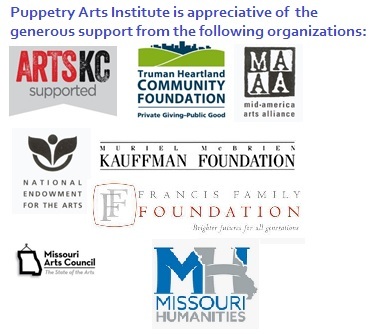 in the early 1990s, goodwill donated the items to the greater Kansas City Puppetry Guild. Hazelle donated her private collection of over 1,000 ethnic and folk puppets, acquired over 40 years, to several institutions: the Smithsonian Institution, the Museum of Anthropology at the University of Kansas, the Nelson-Atkins Museum, the Kansas City Museum, and the Fowler Museum of Cultural History at UCLA. The Smithsonian holds some 60 Hazelle puppets, which they call “Hazelle Famous Puppets,” and they have been exhibited over the years. Hazelle’s collection of rare and antique puppets was included in a large 1978 exhibit titled “Puppets and Things on Strings,” which also included such famous puppets as Charley McCarthy, Kermit the Frog, and Howdy Doody. Some 300 Hazelle puppet designs are exhibited at the Puppetry Arts Institute museum in the Englewood Arts District in Independence. A subcommittee headed by Diane Houk developed a five-year plan to raise funds to establish a puppetry center and museum. The group worked tirelessly, giving workshops and puppet presentations and securing grants to insure the Hazelle puppets and puppet parts could be professionally curated and preserved. The Puppetry Arts Institute has been open to the public at its current Englewood location at 11025 E. Winner Road in Independence since 2001. Today, the non-profit offers Kansas Citians an opportunity to take puppet workshops and enjoy professional puppet shows, but also to explore a part of Jackson County’s rich history. Hazelle died on March 25, 1984. Her obituary noted that she was a founder of the Puppeteers of America, an honorary trustee of the Kansas City Art Institute, a life member of the KU Chancellors Club, and president of the Nelson Gallery Art Study Club. In 1946, Hazelle was appointed by Kansas City Mayor H. Roe Bartle to a 30-member Women’s Commission for International Relations and Trade. By the 1960s, Hazelle was chairman of the Women’s Chamber of Commerce’s Naturalization Committee, aiding immigrants in the process of becoming naturalized citizens. She served on the board of Camp Fire Girls. She was a member of many civic organizations including the Jackson County Historical Society, the Soroptimist Club of Kansas City, Children’s Theater of Kansas City, the Kansas City Museum, People to People, the women’s division of the Kansas City Philharmonic Association, the women’s auxiliary of the Salvation Army, and the Wives of Rotarians. In 1972 she was appointed the first of very few women in the United States to serve as chair of the Kansas City Advisory Council of the U.S. Small Business Administration. In 1976 Hazelle was one of 25 National Committee Members of the U.S. Treasury Small Business Advisory Committee on Economic Policy in Washington, D.C.
She was also a member of the Kansas City Athenaeum and the Kansas City Museum.